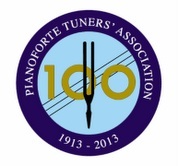 The two leading associations in the UK for fully qualified Piano Tuning and Repair Technicians. If you have any questions regarding Tuning or any Piano related queries please do not hesitate to contact me. I also offer high quality Upright Pianos for sale. Visit the Pianos & Accessories page for more details. Your feedback of my service is much appreciated. Please visit the Reviews section for feedback and testimonials.